Posted on April 29, 2012 June 25, 2012 by Dayna Jacobs - "On Granny's Trail"
My grandmother, Annie Marie Tanner, was born in Tuba City, Arizona on 18 Aug 1901. 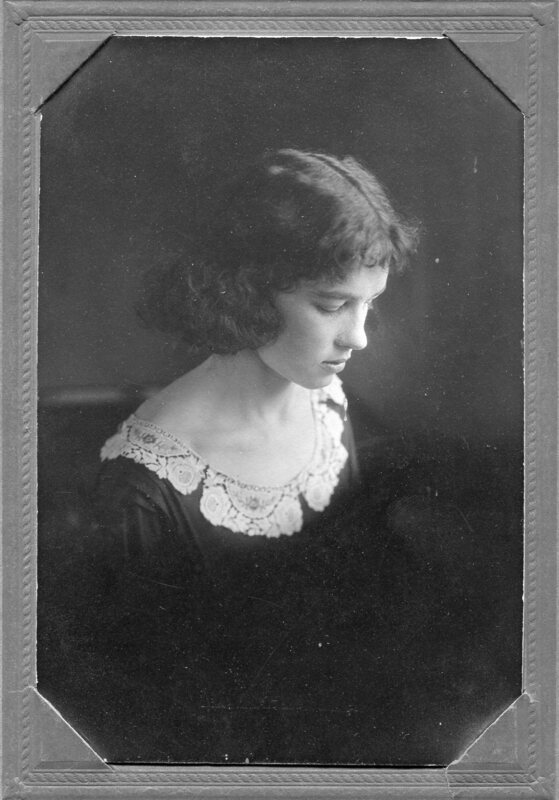 I knew she grew up in Kirtland, San Juan County, New Mexico and wondered exactly when and why the family left Arizona. Tuba City lies within the Navajo Reservation in the northeast corner of Arizona, while Kirtland is just outside the Navajo reservation in the northwest corner of New Mexico. Using newspaper articles, Congressional records, and correspondence within federal agencies I pieced together the fascinating story of the early Tuba City settlement and will share some of the records in coming weeks , while also highlighting the archives and libraries where the records were found. 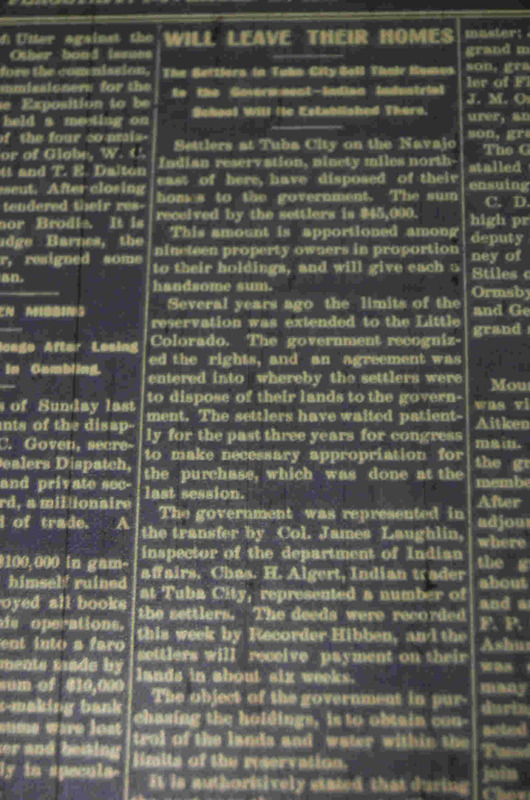 Briefly, the settlers who had arrived in the 1870s were bought out by the federal government when the Navajo Reservation was expanded to include their property. There is a lot more to the story, though, as the records will reveal. 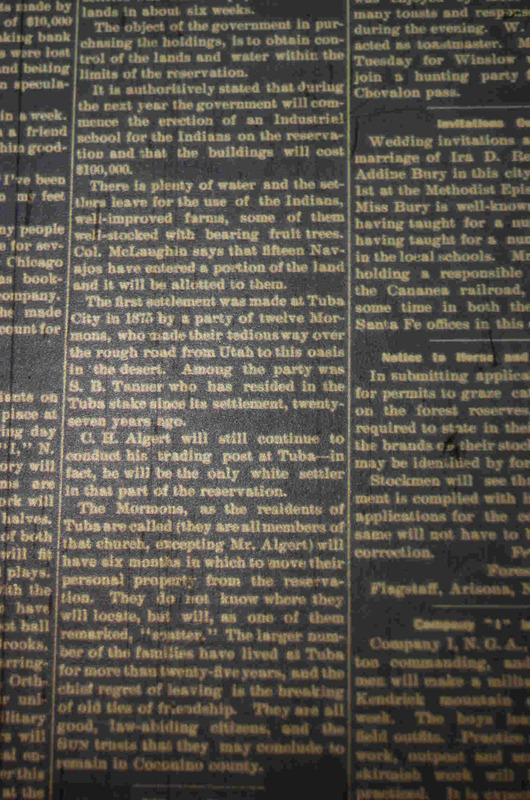 Here is a newspaper article, “Will Leave Their Homes”, (November 15, 1902 Coconino Sun, page one, column three) summing up the situation in Tuba City in 1902. 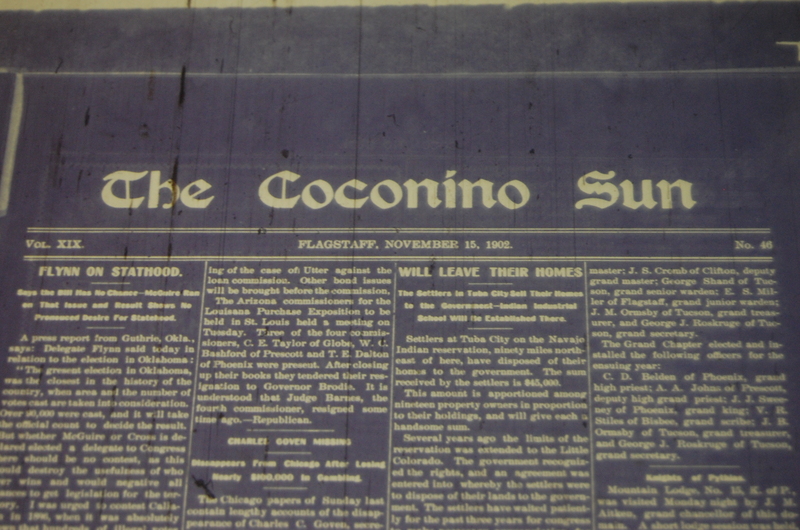 It is blurry because it is a photo of a microfilm image taken at the Arizona State Archives in Phoenix, Arizona. Note the mention of S.B. Tanner. That is Seth Benjamin Tanner, father of Joseph Baldwin Tanner and grandfather of Annie Marie Tanner. Watch in the coming weeks for records from this interesting period of time in Tuba City, and the Tanner and Foutz families.